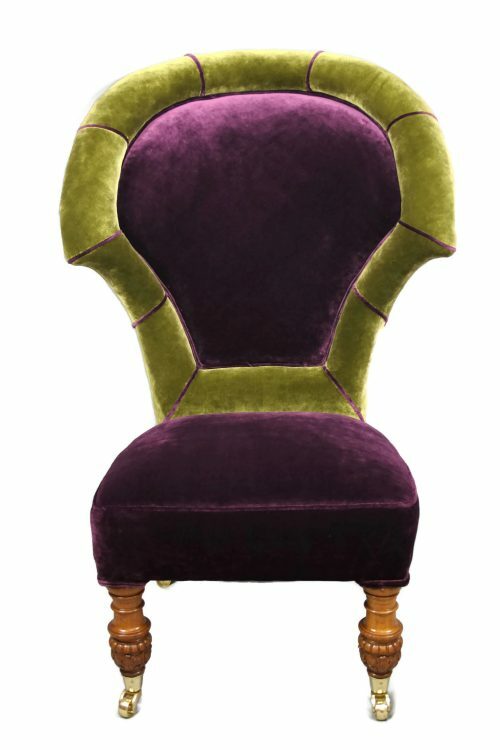 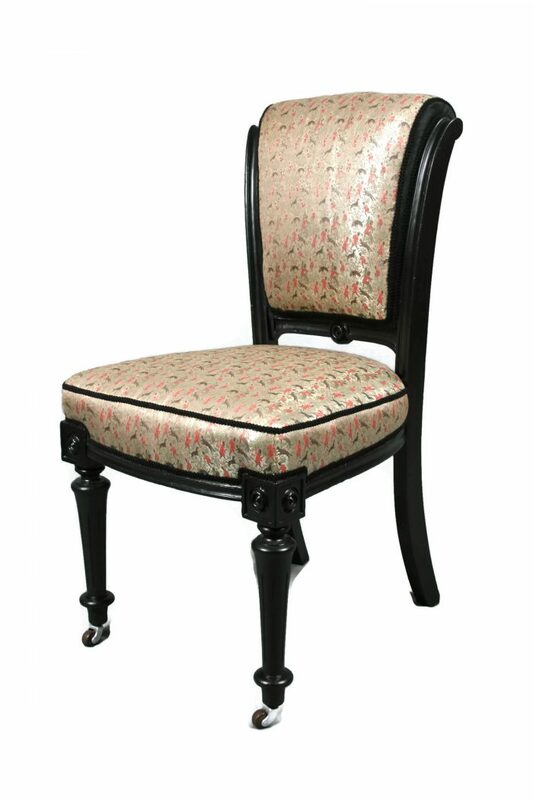 Victorian walnut Occasional Chair painted in Pitch Black by Farrow and Ball. 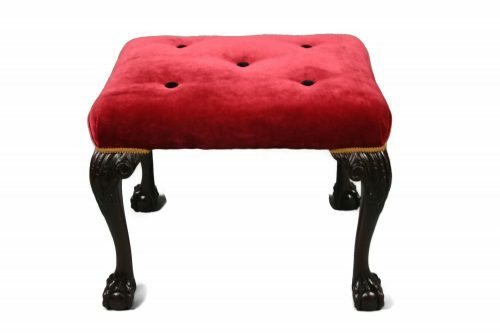 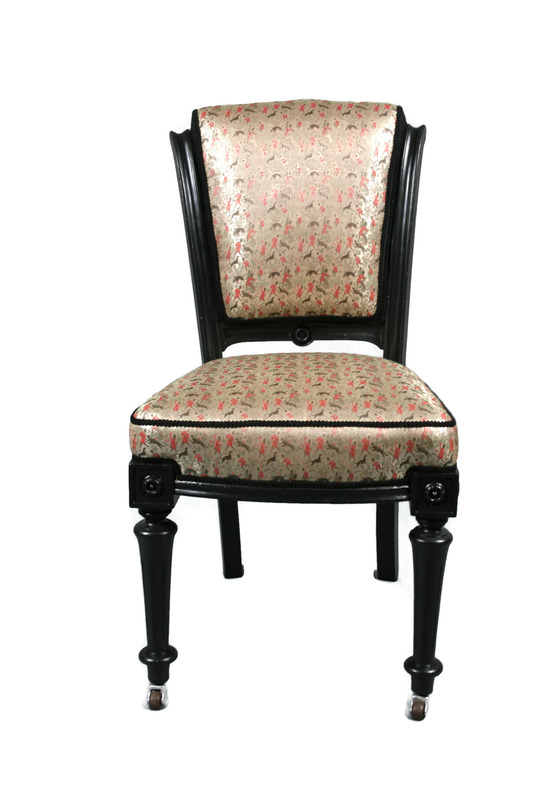 A very pretty piece with fluted front legs with castors and scroll back. 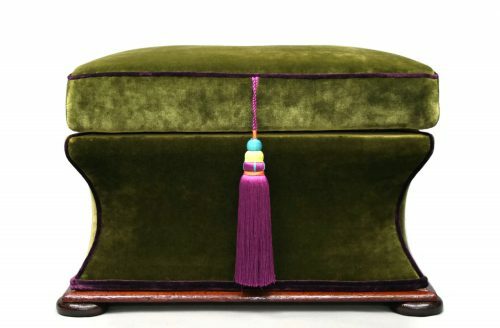 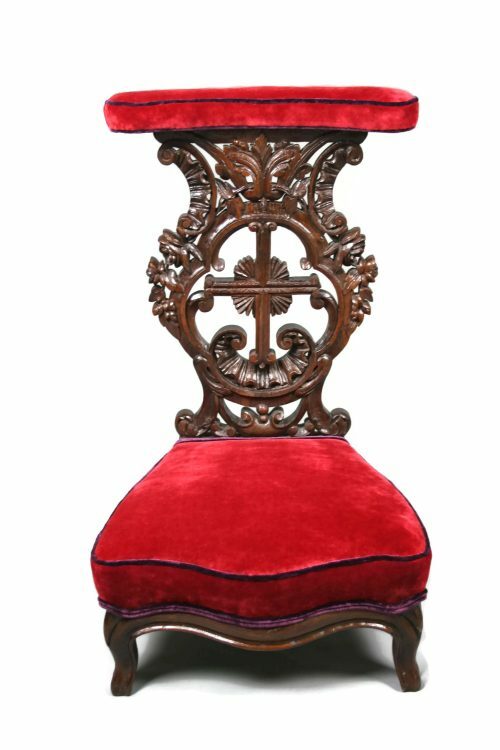 The beauty of this chair is in the fabric having been re-upholstered with remnants of genuine early 20th Century silk brocade. 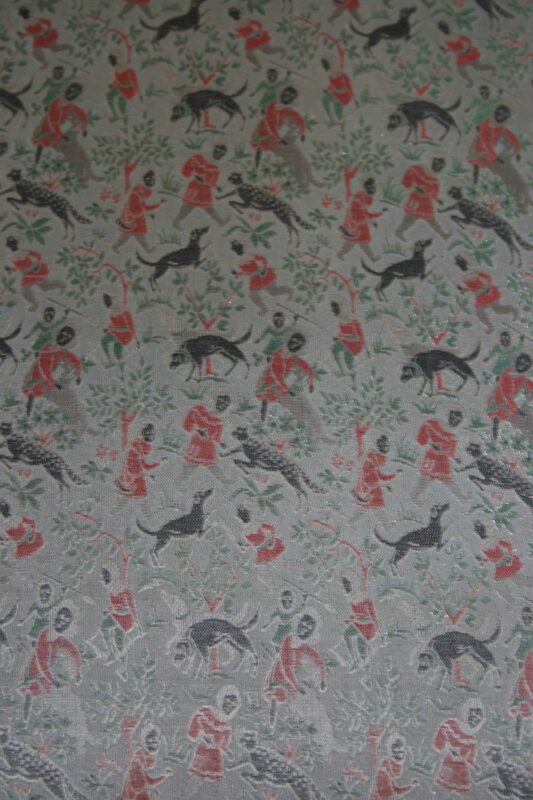 This has a an oriental hunter motif with dogs, leopards (?) and huntsmen. 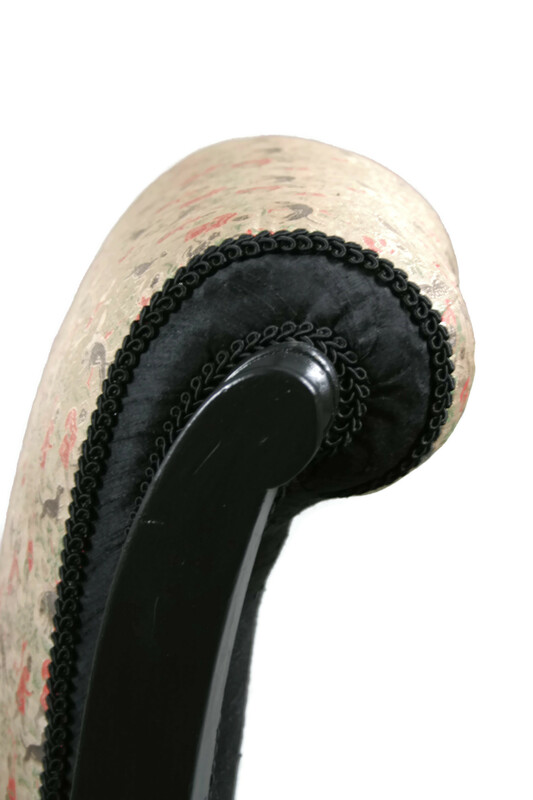 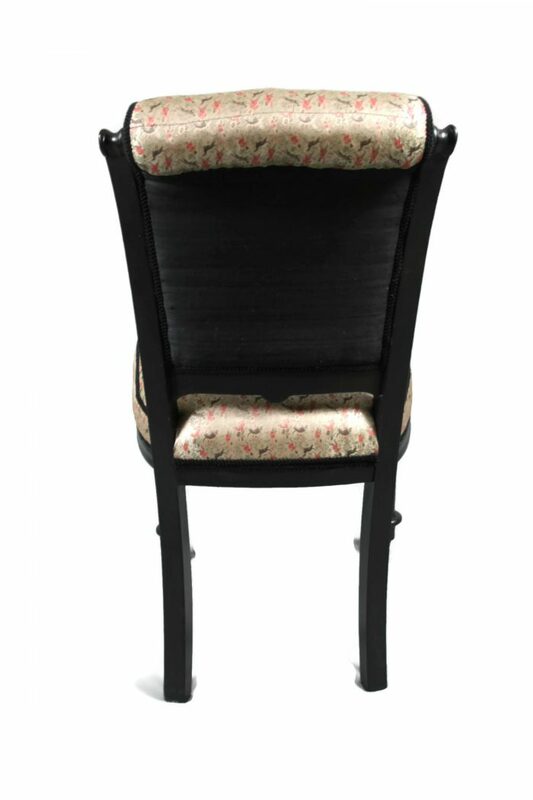 This luxurious fabric is perfectly set off with black silk which accentuate the side scrolls. 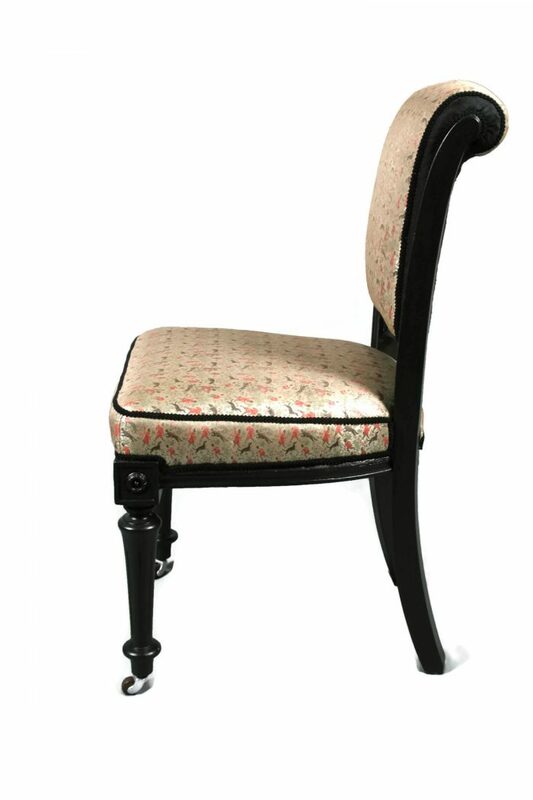 The chair has been fully restored using traditional techniques and materials.